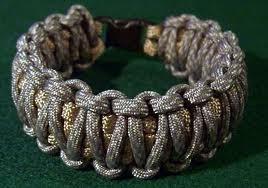 Boy Scout Troop 194 meets on Tuesday evening from 7:00 - 8:30 at the First United Methodist Church in Bridgeport, Texas. Four members of Troop 194 were tapped out at Camporee to be initiated into the Order of the Arrow. Congratulations to John, AJ, Bry, and Steve! 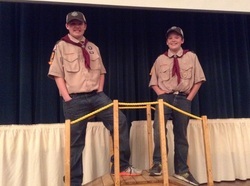 Troop 194 welcomed two new members, Clayton and Ty, Saturday evening at the Pack 115 Blue and Gold Banquet in Decatur. 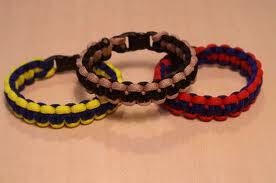 Click on either of the links below for instructions on how to make survival bracelets from paracord.